How to center the header logo in the Customizr theme ? The Customizr theme offers various layout options for the header. From the customiser, go to Header -> Design and layout. 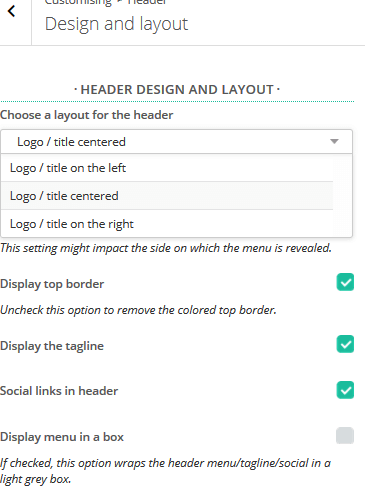 In the section Header Design And Layout, look for the option Choose a layout for the header. Here you can choose Logo/title centered from the three options. Developers : if you want further centering of the other elements of the header, this code snippet tells you how.